Apeer doors has launched a major push for Spring with an exciting new collection of contemporary Apeer doors along with an updated Diamond range. Supported by brand new brochures, two completely revamped websites and full updates to its Doorbuilder software system, the company’s multi-platform launch comes just in time for the busy Spring home improvements rush. Said marketing manager Linda Tomb: “Getting the two new brochures ready – for Apeer/Modo and Diamond doors – has been no mean feat but we think our customers will find them both great selling aids. “The Apeer brochure will include our stunning new Apeer Contemporary collection with 29 new styles. It will also incorporate our top of the range ‘designer’ collection – Modo. The new Diamond brochure will feature 42 doors (single and double rebate) including two brand new styles and five reworked designs – with double rebate Double Diamond being fully manufactured in-house to offer even greater flexibility on size requirements. Apeer’s Doorbuilder software system has also been given another massive update to incorporate all the new styles and collections featured in the new brochures. 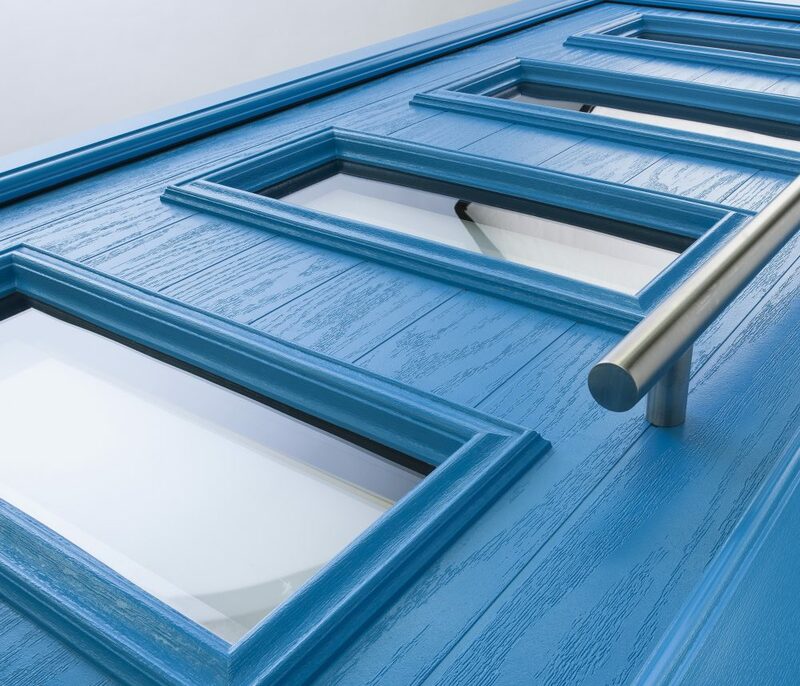 Well known for offering its leading edge composite doorsets in virtually any colour, Apeer also has a strong reputation for bespoke glass designs. With its own in-house glass studio the company custom makes an increasing number of designs, although this is a service that cannot be shown on Doorbuilder. For more information visit the brand new www.apeer.co.uk website which is now live.